I am unable to create a new forum topic. I'm not allowed. I live in São Paulo Brazil and I have a problem in miinha configuration of Dokan. I am unable to make the same product for different vendors. When I register a product to the seller Carlos, I can not leave this product to the seller Felipe. When I put the same product for Felipe, he leaves the shop and Carlos Felipe is in store. Is there any way to bring all the products for each new salesperson registered on my web site without interfering in each other? I am not clear about your issue. Can you please provide any screenshot of your issue?. It will help me to find out the problem. Your login details is not working. Can you please confirm me that you are trying to upload same product from frontend or you are assigning same product from backend?. Hello how are you? Of course yes, please, I just have to thank the care, attention and respect. 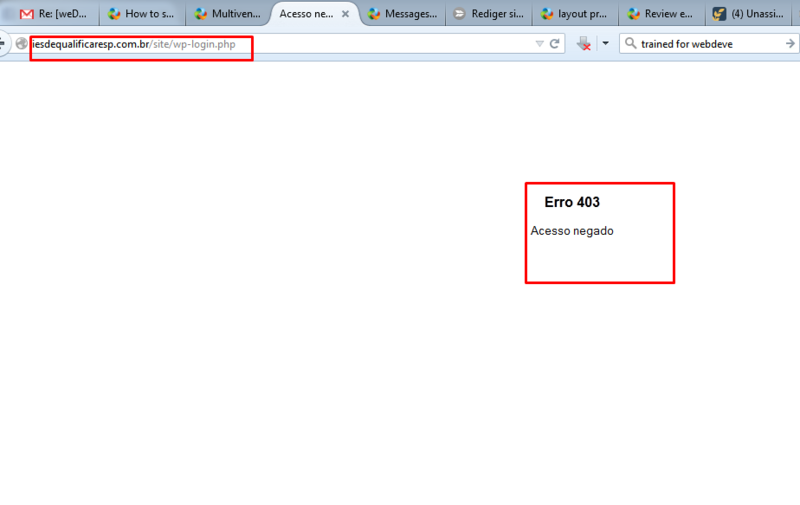 I am getting this error whey trying to login – Erro 403. Please check for this error.